The race to 1,000 pound-feet of torque continues—and we're enjoying the ride. If you're looking to buy a new heavy-duty diesel pickup, it's fairly difficult to go wrong in 2017. 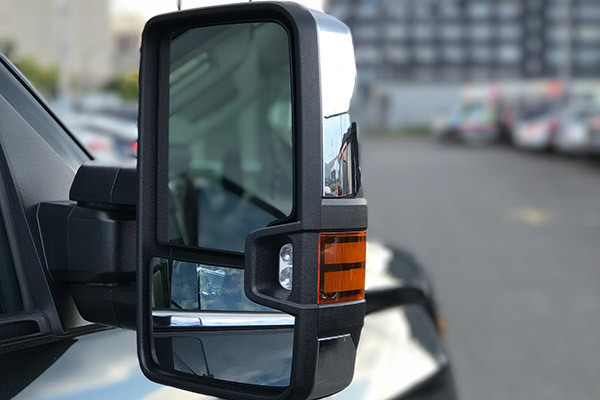 You are picking between three highly capable and good-looking trucks—the Ford F-Series Super Duty, the Ram 2500/3500, and the GMC Sierra / Chevy Silverado Heavy Duty models—that all can get the job done without question. Which means you need to keep an open mind when reviewing them. 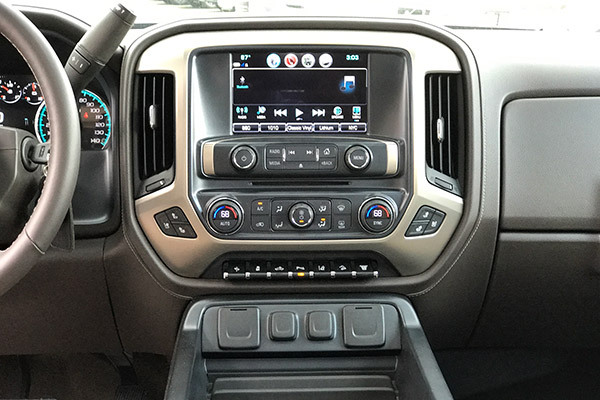 I liked the 2017 Ford F-250 Super Duty a lot; however, that does not mean I hopped into the 2017 GMC Sierra 2500HD Denali with my mind made up. 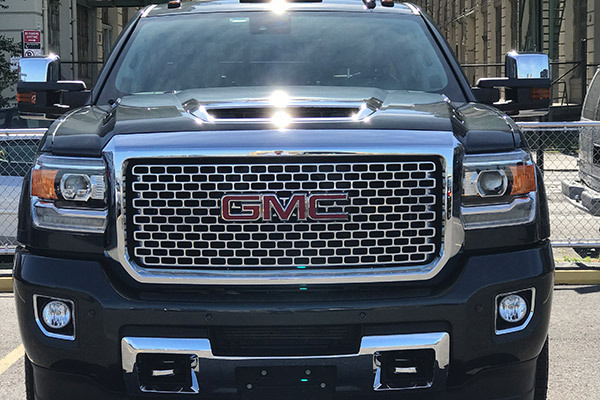 In order to keep this massive engine's noise under wraps, GMC has improved engine bay insulation and sound reduction, using hydraulic engine mounts, oil pan covers, engine covers, fuel injection rates and more. Don't get me wrong—you will hear that distinctive diesel clanging when you start the truck up, but it's at a greatly reduced decibel level. And with steel frame construction and no shortage of insulation, you don't get those cavernous creeks you associate with a larger vehicle. Handsome, downright handsome. The 2017 GMC Sierra 2500HD Denali is the stud of the GM truck lineup, by far. With its prominent grill, chrome accents, and beefed-up suspension, the 2500HD Denali demands your attention. This truck can pull a house. With a 13,000-pound hitch towing capacity and 14,500-pound fifth-wheel towing capacity, the 6.6-liter Duramax will pull for days—and thanks to the increased radiator size, it will keep its cool while doing it. The cabin noise is minimal. Right away, you notice environmental sound fall away once you close the doors, even when you step on the gas. Thanks to triple-sealed doors, steel cabin construction, and engine sound-deadening efforts, the 2017 GMC Sierra 2500HD Denali is way quieter than its Blue Oval "friend." The payload capacity is 3,233 pounds—just shy of the Ford F-250 Super Duty, but far from dainty. This allows contractors and landscapers alike to fill the bed with a considerable amount of sandbags or dirt. The infotainment system and climate control can be figured out in five seconds flat. This may not seem like a big deal, but when you're fried from a long days work, the last thing you want to do is futz around to find your favorite radio station and ideal temperature. The truck is "fuel efficient" with an observed 15 mpg city and 17.5 mpg highway. Road manners were surprisingly smooth. Yes, you had the occasional bumps of a truck but you didn't have to fight the vehicle to stay in your lane on take a country curve. The steering is a little looser than I would like. It would be nice if the Denali had point-and-go steering to compensate for its almost four-ton weight, but it's not quite as quick or tight as it could be. The front visor is too low. Comparing sight lines of the Ford and the GMC, you're much less restricted visually by the Ford. 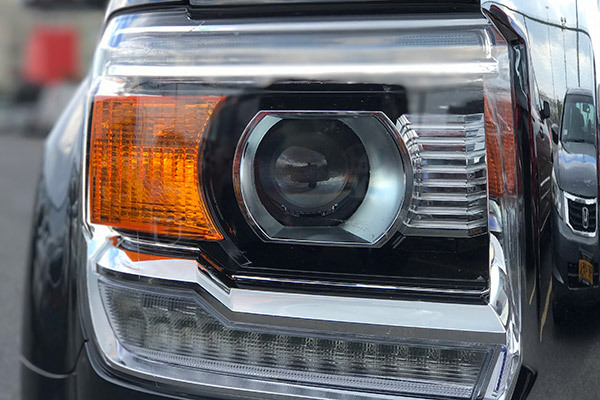 A forward-facing camera is missing...and from one of GMC's largest and most expensive trucks, no less. This is less about this particular truck and more about modern infotainment tech, but: Apple Car Play. Personally, I find Apple Car Play an inefficient, convoluted, and all-around poorly-designed system that forces you into a technological black hole every time you plug in your phone. When it comes down to it, the 2017 GMC Sierra 2500HD Denali is a luxury pickup with the capabilities to fend off haters who look at leather-wrapped rides like this and yell, "That's not a real truck." There's nowhere in the rule book saying a capable pickup has to be uncomfortable, stuck with the traditional bench seat and vinyl floor matts. Aside from financial constraints, there is no reason you shouldn't comfortable going from job site A to job site B—or from the country house to some other fancy residence. But when it comes to a definitive answer as to which heavy-duty pickup truck you should park in your driveway...well, these days, the trucks are all so good, it's damn hard to decide. The Ford Super Duty has greater towing and payload capacity, while the GMC is quieter, a little more subdued on the road, and a hair quicker. 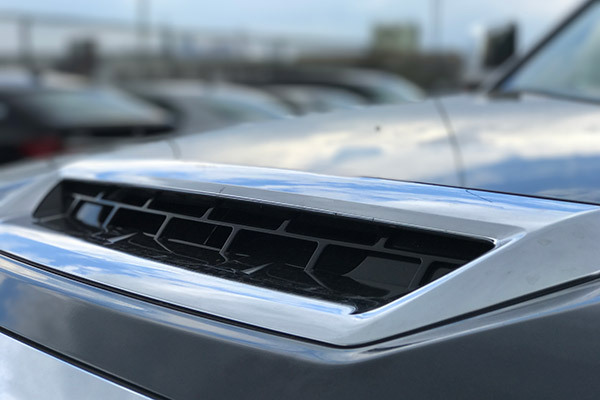 The GMC squeezes ahead on fuel economy, netting about one mile-per-gallon better on the highway—while the Ford has better safety features and smaller blind spots. 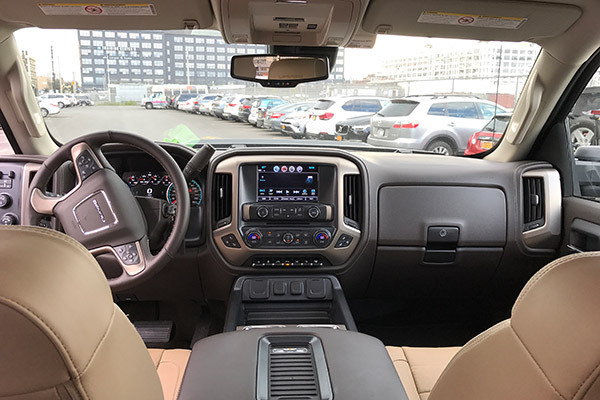 Even on price, they're neck-and-neck; the Sierra 2500HD Denali, the top-of-the-line GMC is approximately $71,000 as tested—while the top-trim Ford F-250 Super Duty with similar features costs a little over $73,000. You could go back and forth all day comparing the features, but it really just comes down to user preference and brand loyalty. 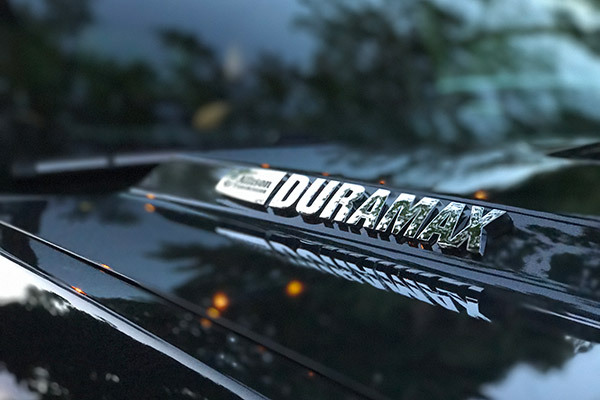 Random fact: The upgraded Duramax for 2017 boosted the Sierra's torque by 145 lb-ft, three less than a Miata's entire ouput. Couple that with a Western MVP 3 V-Blade plow and you can become a snowstorm juggernaut. We took GM's off-roaders to their treacherous namesake mountain to test their capability.